This is the second part of a two-part guest post by Alexander Kopelman, President and CEO at Children’s Art Guild, that explores the role of authenticity in children’s development and education. Many of the ideas emerged at the inaugural Children & Authenticity Conference. The 2017 Children & Authenticity Conference: Exploring the Heart of Education will take place on October 22-23 in New York City. A teacher stands at the front of the room, draws a chalk dot on the blackboard, and asks a class of tenth-graders what they see. The only answer the students come up with is, “a chalk dot.” The teacher, surprised, tells the students that faced with the same question a class of kindergartners came up with a slew of creative answers—from a squashed bug to an owl’s eye. This story, told by Roger von Oech in A Whack on the Side of the Head, has become one of the most widely quoted illustrations of the decline of creative thinking in children as they move through the processes of maturation and socialization. In 2005, Sir Ken Robinson, then Chair of the British government's Report on Creativity, Education and the Economy, publicized research that showed that young people lose their ability to think in "divergent or non-linear ways" with age. In the study, 98% of children ages three to five showed they could think in divergent ways. By ages eight to ten, 32% could think divergently; and only 10% of thirteen- to fifteen-year-olds could think in this way. Now imagine that the students in von Oech’s story are looking at images of themselves on the blackboard. Do they see themselves as they really are or as flattened versions of themselves that conform to their ideas of what the people around them want them to be? Sadly, the trajectory of authenticity closely parallels that of creativity. As children get older, they become more and more aware of societal expectations and in response cut off from parts of themselves that do not conform to their idealized selves. The costs of this self-alienation are exorbitant. For the individual, the greater the disconnect between the authentic self and the idealized self, the higher the potential for psychopathology. Programs that promote self-awareness as part of social-emotional learning (SEL) have been shown to reduce emotional distress and discipline problems in elementary-school children. For educational communities, the cost is a loss of intellectual vitality. Children who do not accurately recognize their inner states, emotions, and thoughts have difficulty finding internal motivation and purpose in learning. And society as a whole loses out on the brilliance of young people. A person alienated from the authentic self is unaware of all the gifts he or she brings to the world and therefore is unable contribute fully to its betterment. Thomas Merton observed that “people may spend their whole lives climbing the ladder of success only to find, once they reach the top, that the ladder is leaning against the wrong wall.” Traditional models of education, with their emphasis on convergent thinking, are designed to equip young people to climb but not to ask whether the ladder is right for them. The Children’s Arts Guild, inspired by Frederick Douglass’ dictum that “it is easier to build strong children than to repair broken [people],” helps children transcend limiting expectations and explore and develop their authentic selves through creativity education. The Guild’s programs focus on helping children in primary and secondary school sustain and cultivate their connection to creativity and learn to use it as a tool of self-awareness. We emphasize process over product, encouraging the development of a creative approach to life as a whole. By definition, creativity supports engagement with personal experience. As children explore their inner worlds through imagination and self-expression, they gain access to the possible selves that they may unconsciously reject. Through such exploration, with encouragement from caring adults and a supportive peer community, children learn how to recognize their feelings, thoughts, and inner states and develop the skills to maintain a lifelong relationship to their authentic selves. The power of this authenticity-focused approach to SEL is that it integrates seamlessly into a variety of in-school and out-of-school settings. Classroom teachers incorporate tools they acquire through professional development into project-based learning. Arts educators infuse their lessons with critical-thinking reflection exercises. Faculty and administration come together in workshops to shape school cultures that support creativity and authenticity. Parents learn how to engage their children in deeper, more meaningful conversations through the use of creativity tools. 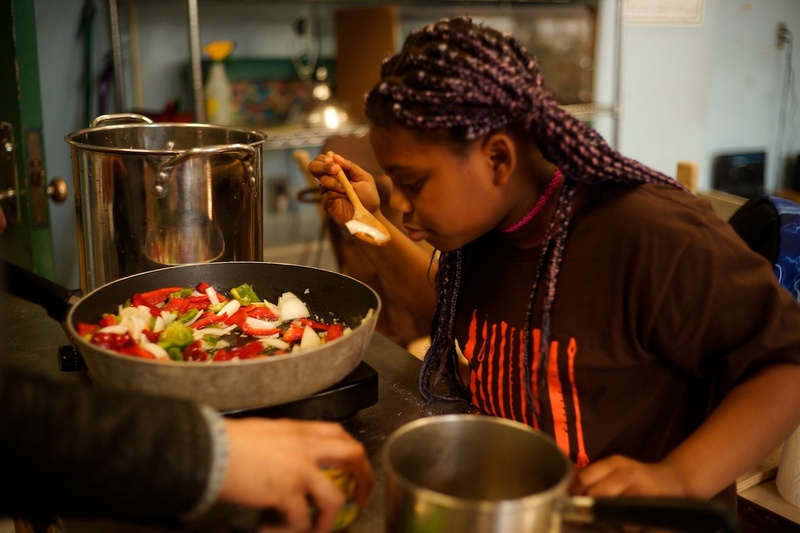 And after-school programs offer children opportunities to participate in a wide range of creative activities—from art and woodworking to cooking, gardening, and storytelling—combined with self-reflection and community building. The advent of positive psychology and the proven effectiveness of SEL in improving students’ experience of and performance in school is ushering in a new focus on the whole child in education. As part of this transformation, we must explore the role authenticity plays in children’s development. The 2017 Children & Authenticity Conference: Exploring the Heart of Education offers an opportunity to engage with this important subject and to build a community of practice. Please join us on October 22nd and 23rd at the Borough of Manhattan Community College in New York City. Alexander Kopelman is a writer and advocate devoted to advancing social justice and personal empowerment. In 2010, Alex’s passion for supporting young people in overcoming outmoded societal stereotypes led him to co-found the Children’s Arts Guild, a nonprofit organization that helps children transcend limiting expectations and explore and develop their authentic selves through creativity education. Alex brought to this work a wealth of experience in gender-specific youth development, having served as the Director of Marketing of Girls Inc., the premier girls’ empowerment organization in the US and Canada, for over twelve years. Alex has authored and co-authored ten books and is a member of the Authors' Guild.